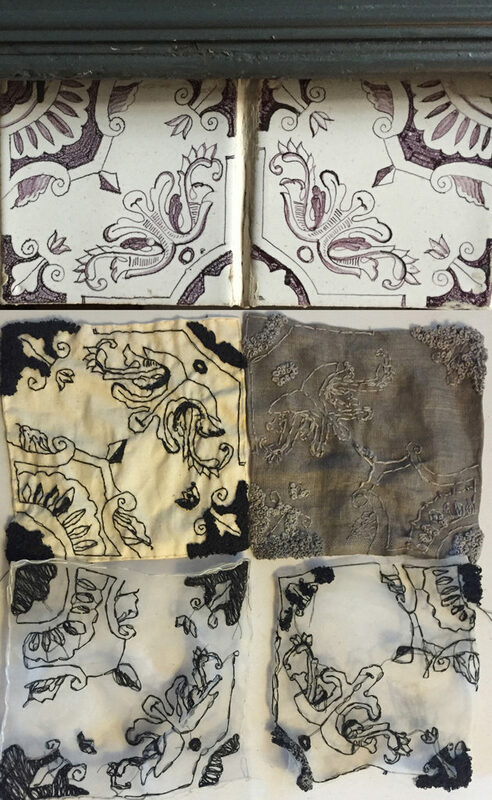 Re-creations of Delft tiles in my studio at Wyckoff House Museum with my textile interpretations. Work in progress. 2017–18. Deflt Tiles (detail). 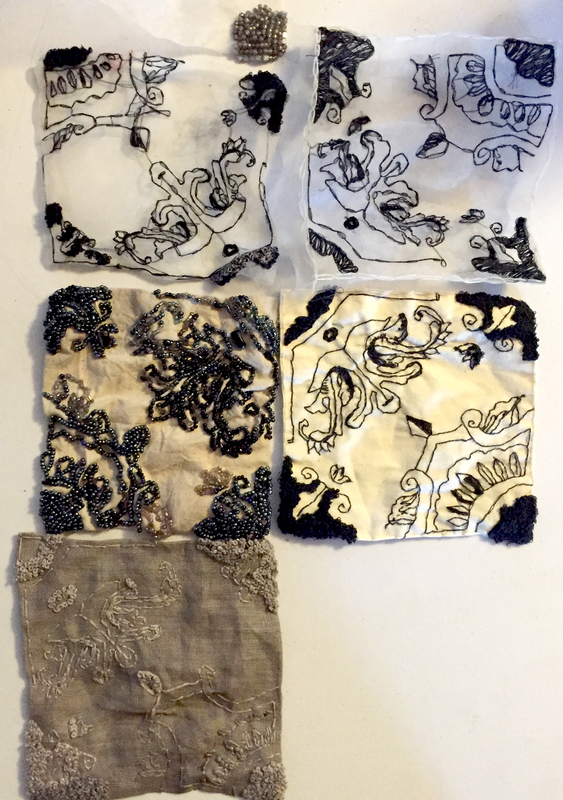 Embroidery and beading on natural and acorn-dyed fabrics. 2017. Dimensions variable. 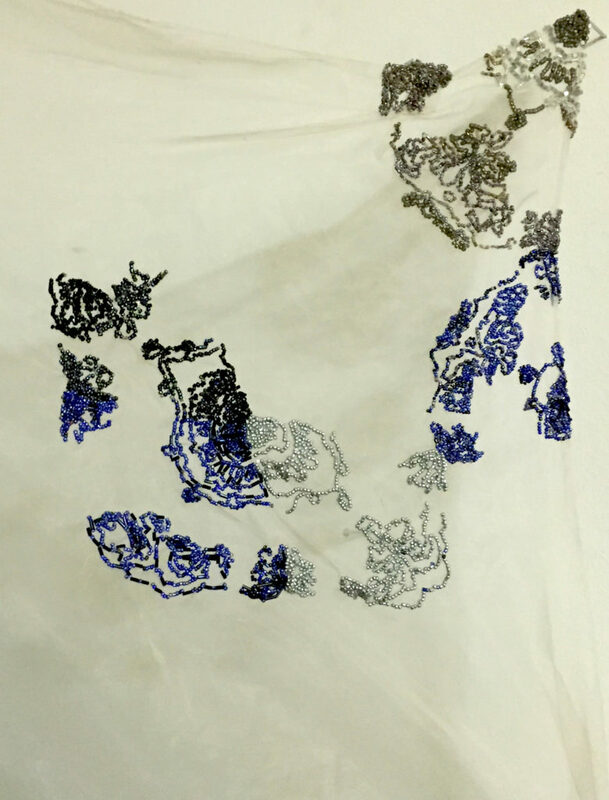 In conjunction with my Wyckoff House Museum Artist Residency, I’m interpreting Delft tiles in my studio in textiles. Delt tile re-creation. Beading on voile in progress. 2017–18. Delft Tiles 2017. Installation in progress in conjunction with my Artist Residency at Wyckoff House Museum. 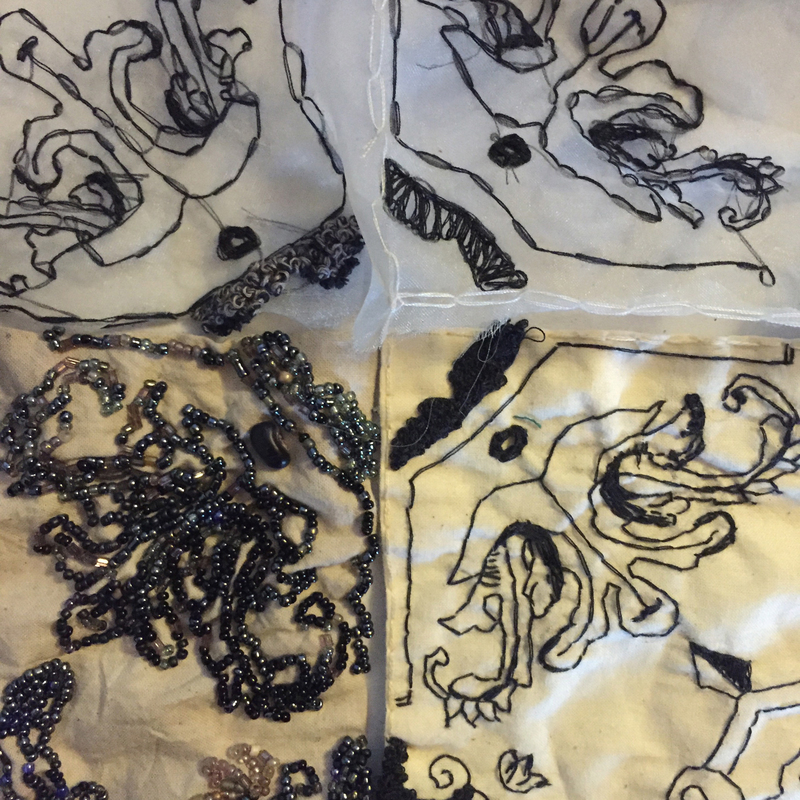 Beading and embroidery on natural and acorn-dyed fabrics. 2017. Dimensions variable.